Single shell lounge chair, in polyethylene, epoxy painted steel base, with fixed column. Big Jim is the armchair designed by Stefano Getzel for Luxy. A witty and informal complement, characterized by an unusual shape and composition. With a seat almost dig in a monolithic of polyethylene, available in white, grey or black, Big Jim is supported by a solid stem base, made of painted or stainless steel. You can choose among a fixed or swivel with self-aligning system base. 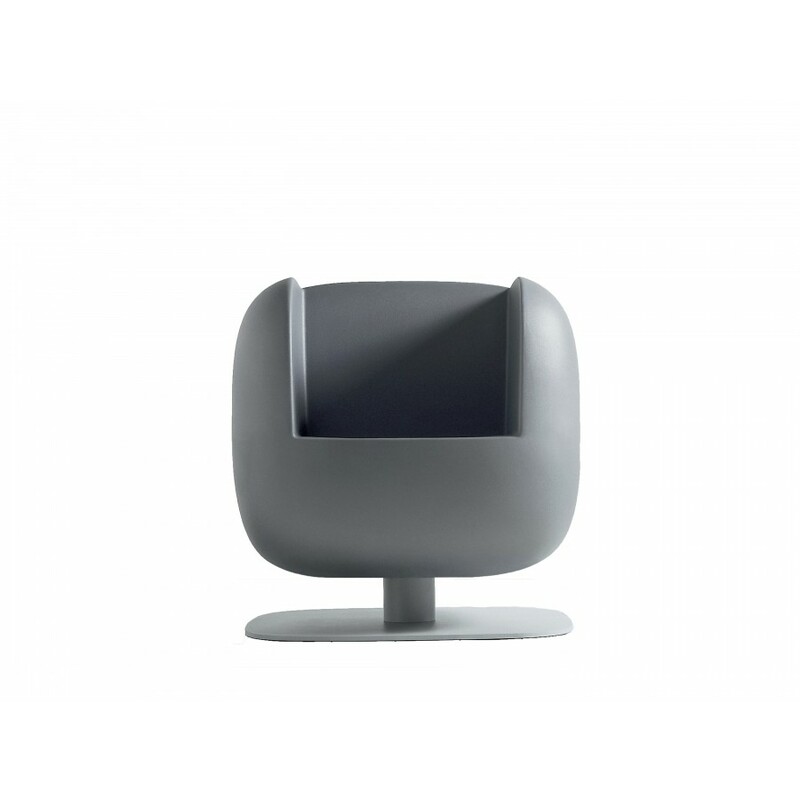 The armchair can be used outside with the painted base, but only in covered outdoor spaces with the stainless steel one.